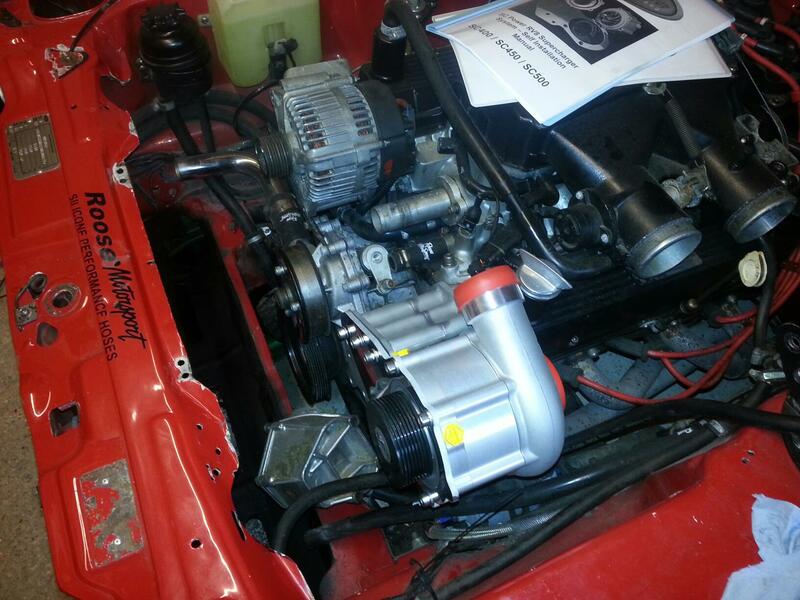 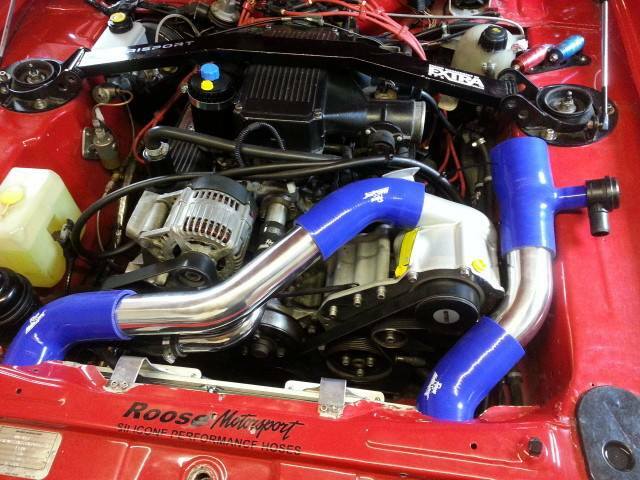 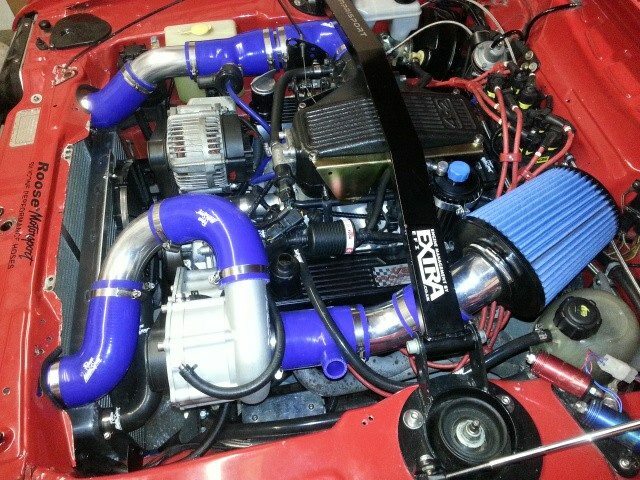 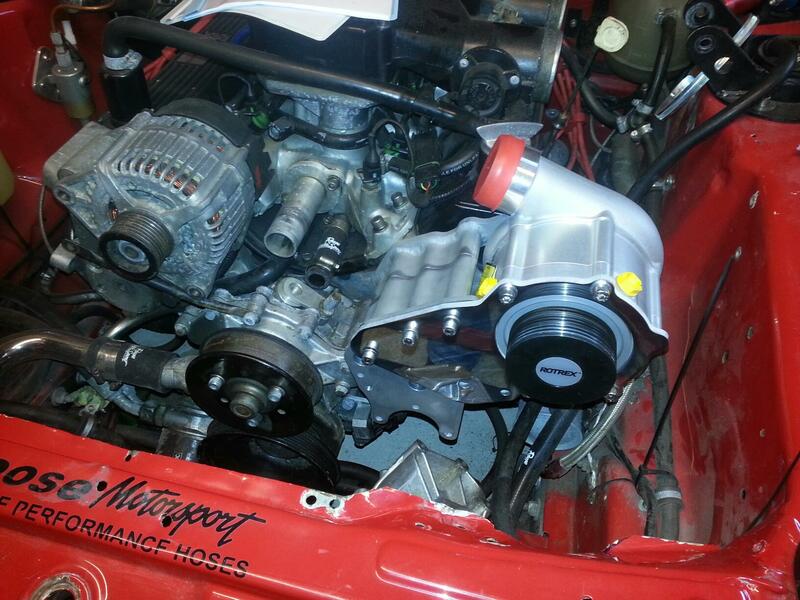 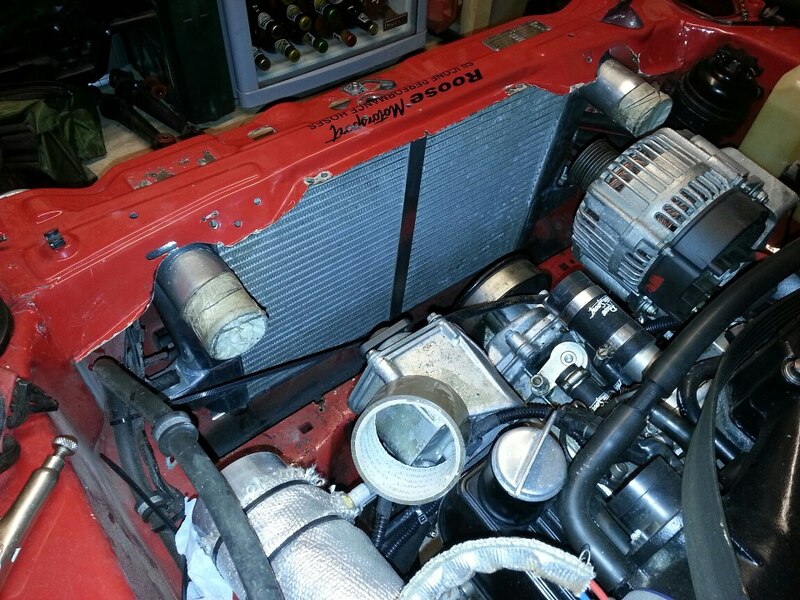 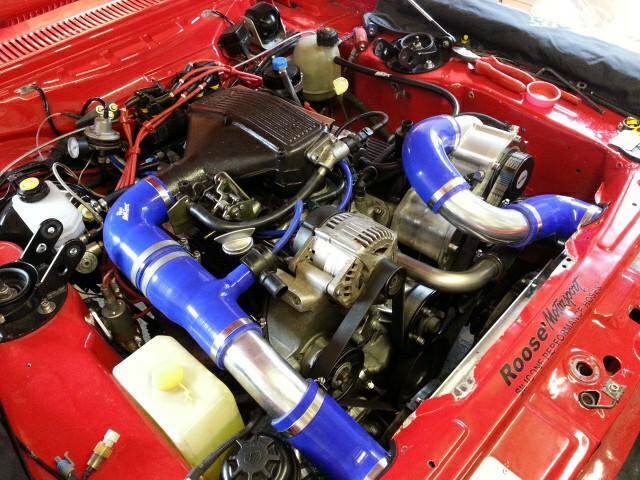 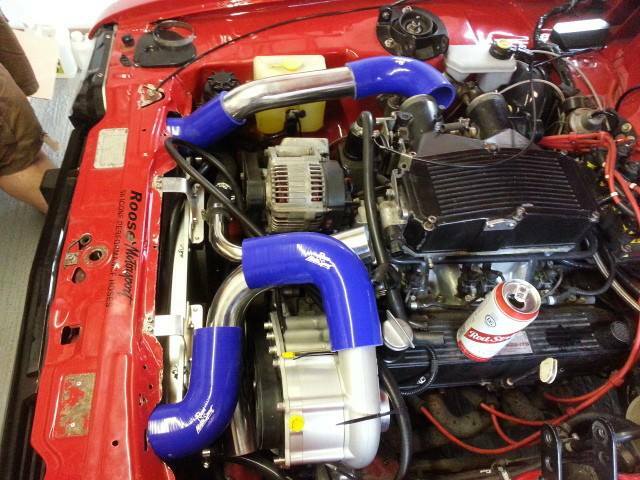 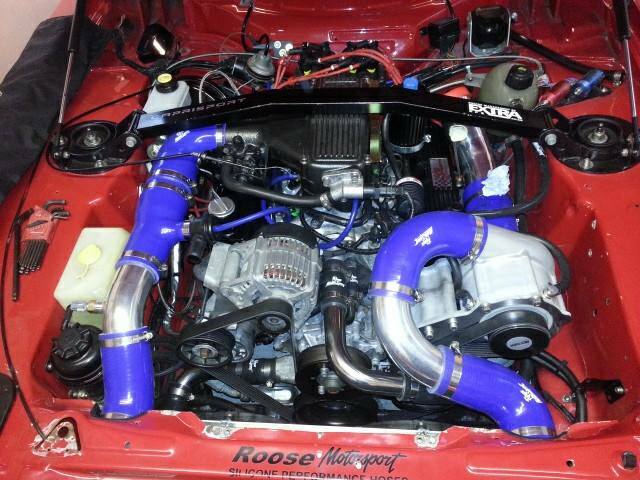 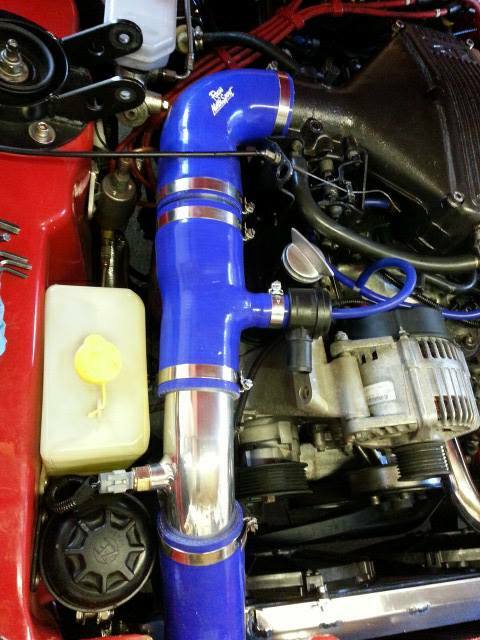 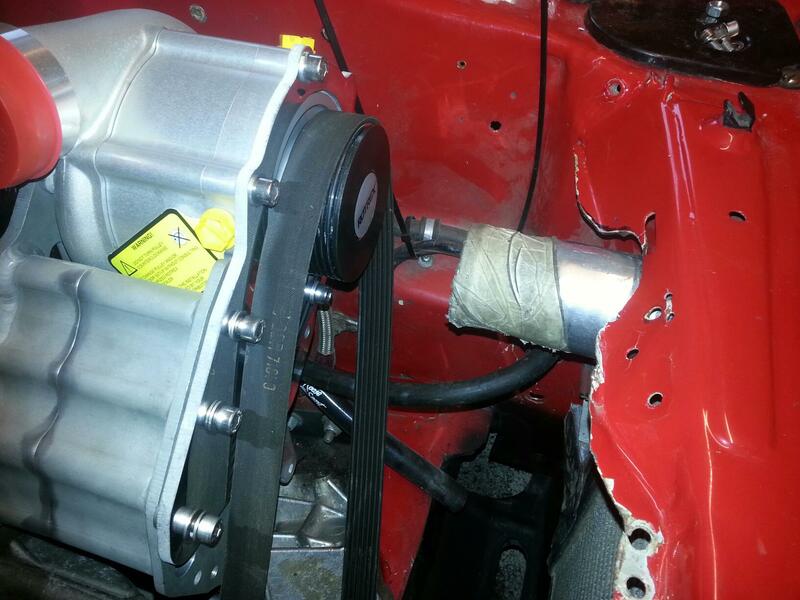 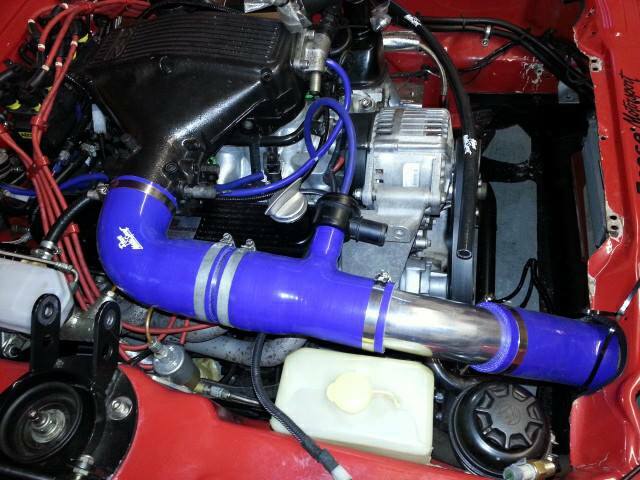 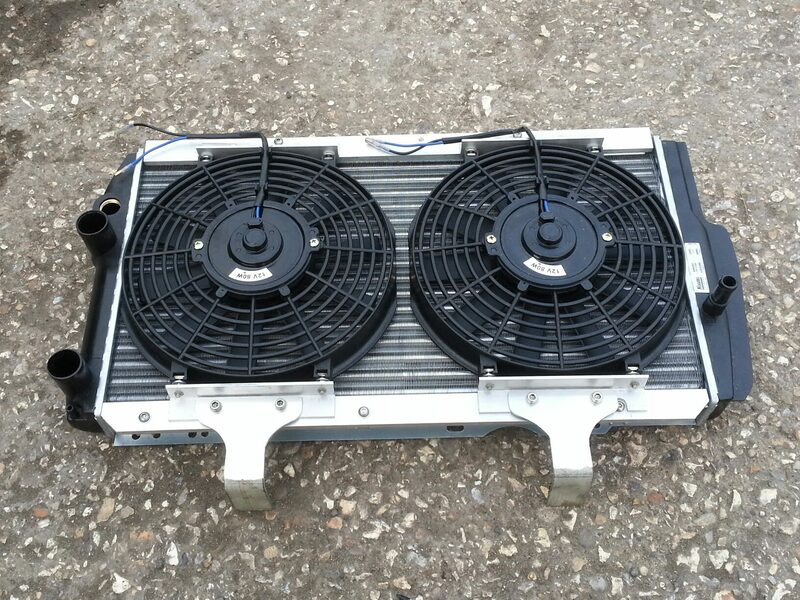 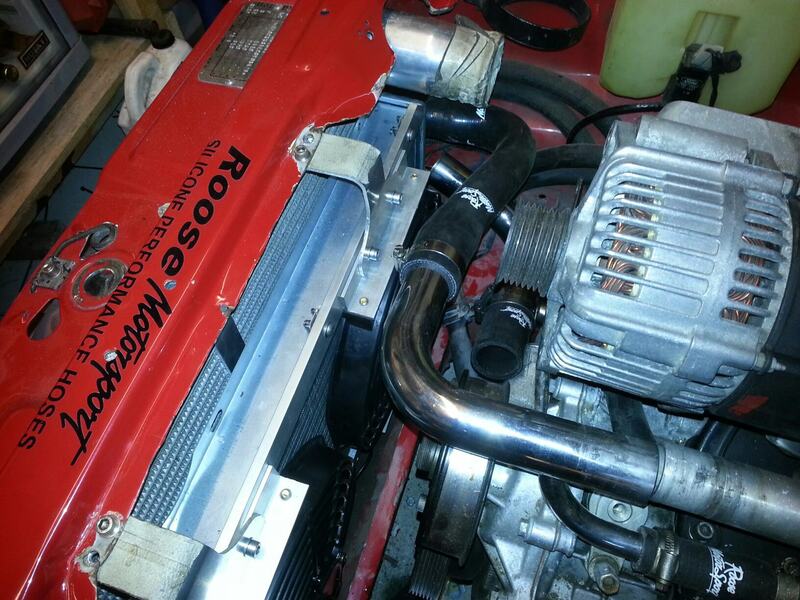 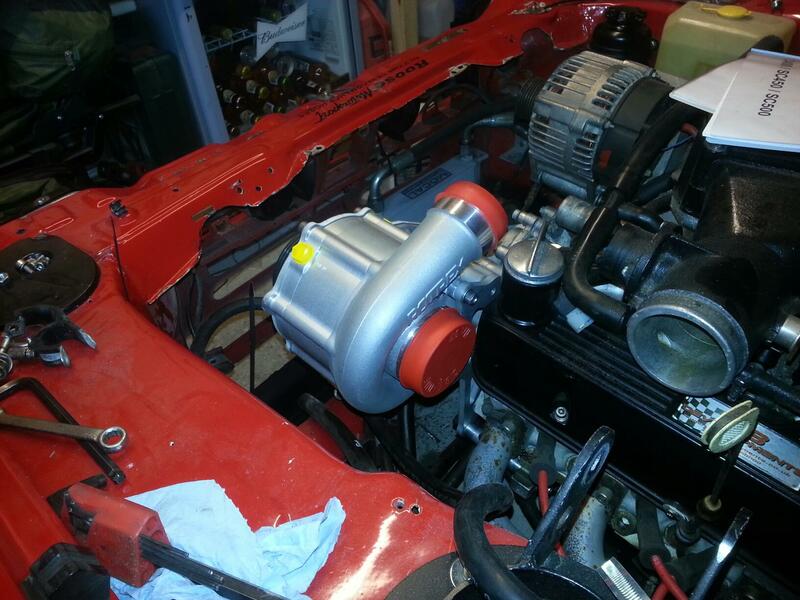 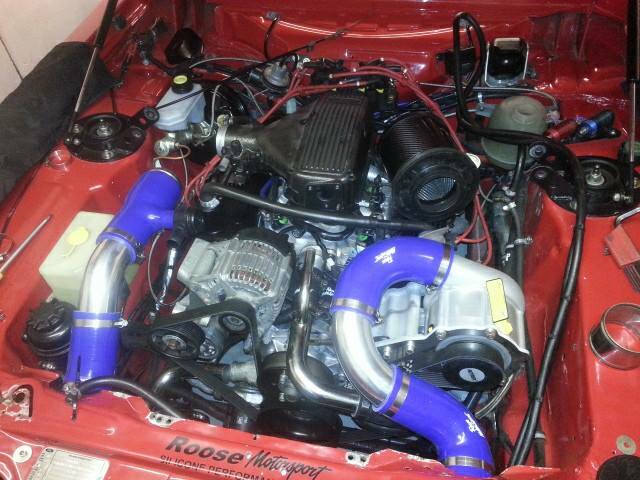 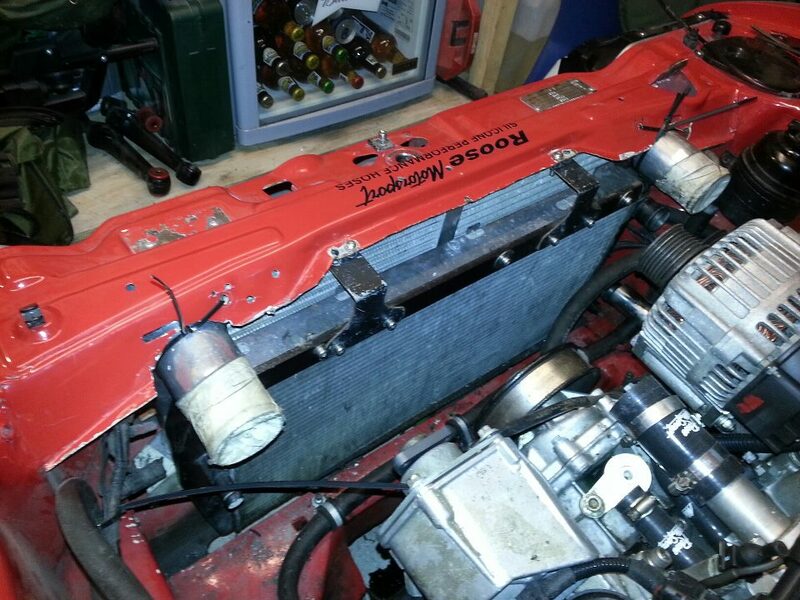 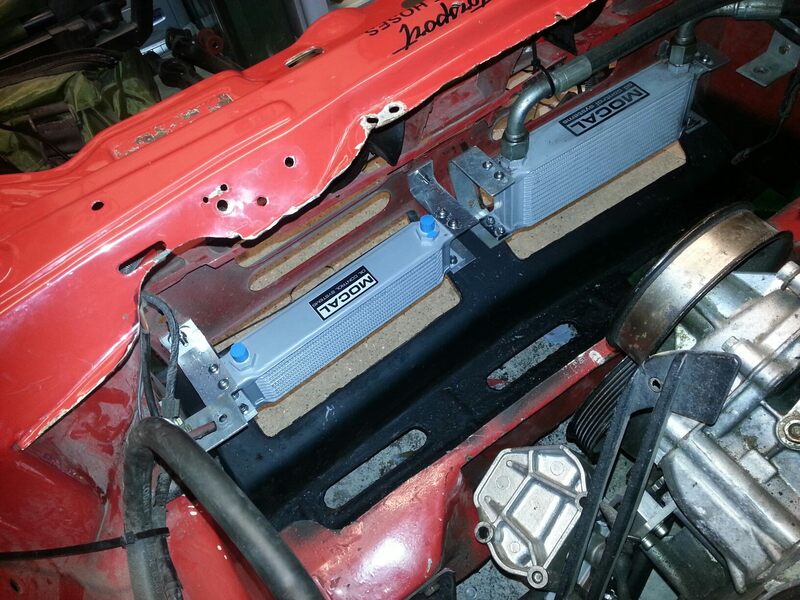 Rotrex C38-91 Supercharger and Cossie RS500 Intercooler on a Rover V8 In a Mk3 Capri. 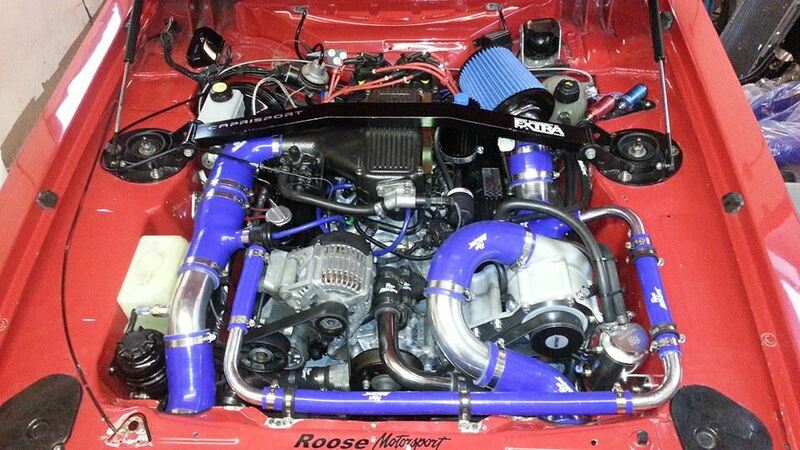 I will try and document with pictures work needing doing to achieve this.. 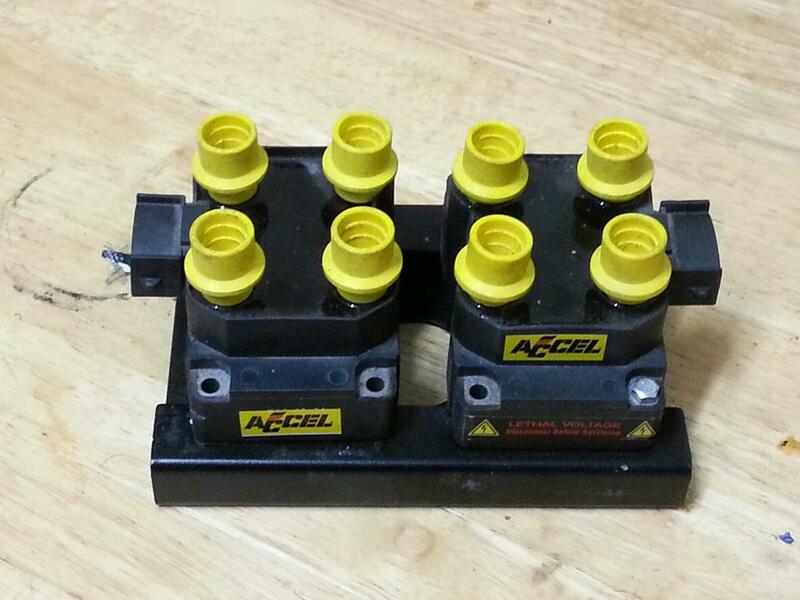 BUT SC-Power are on the ball and working on rectifing the faults ASAP. 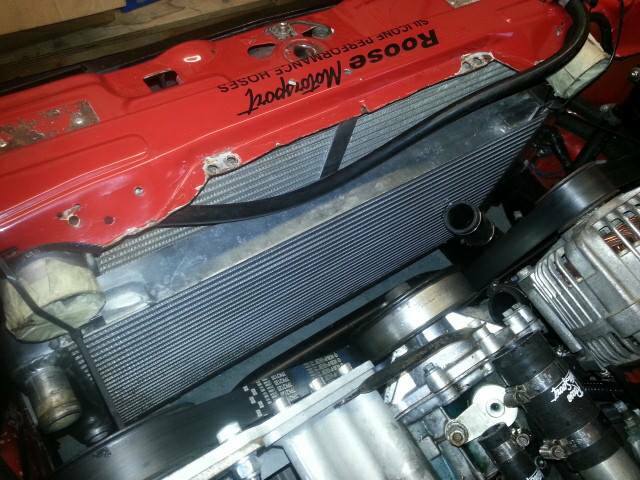 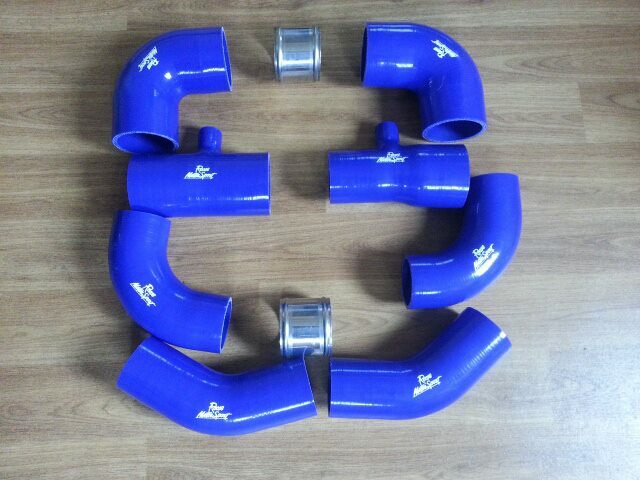 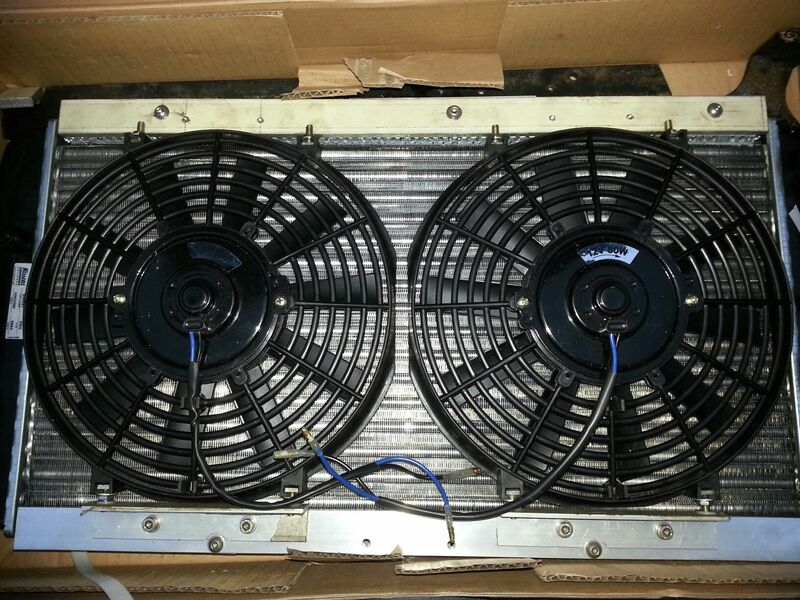 the following photo's are the completion of the install. 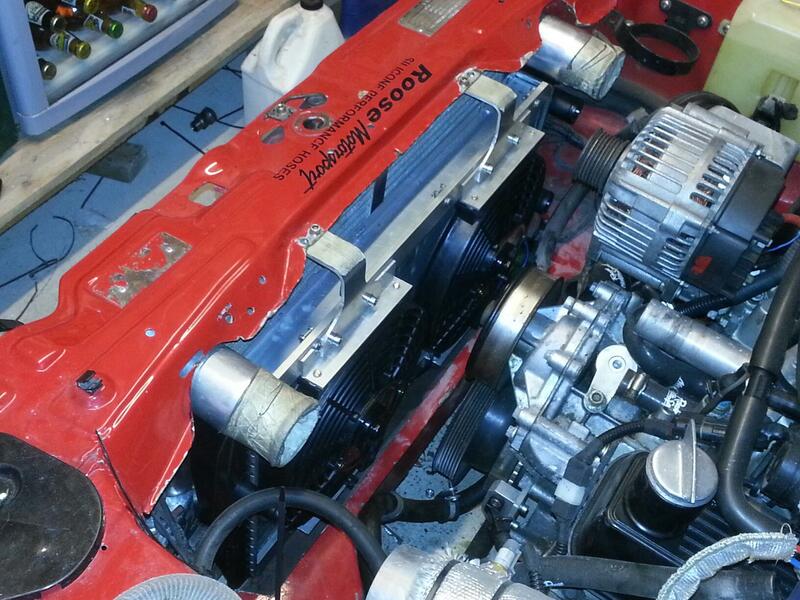 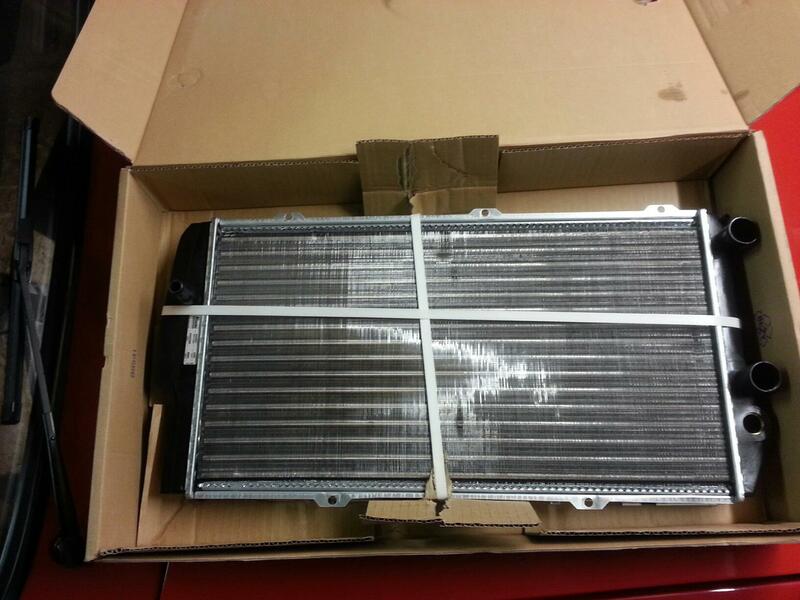 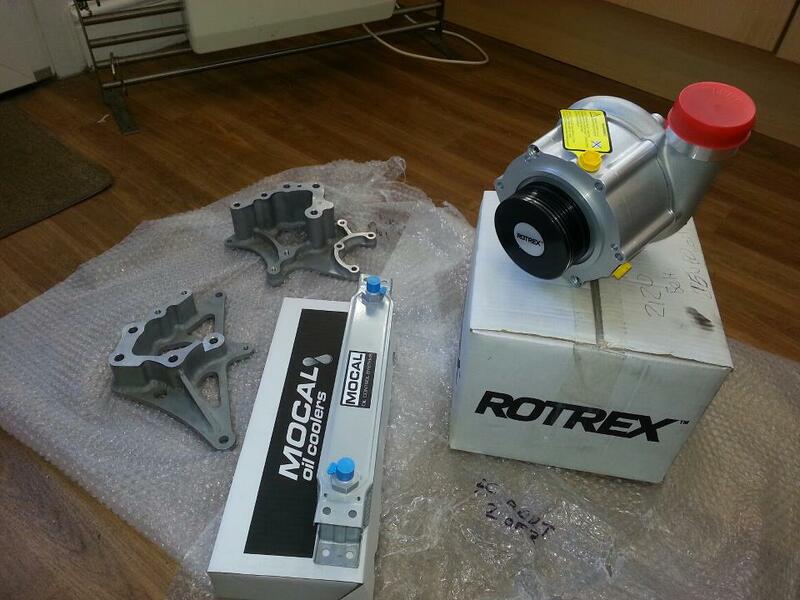 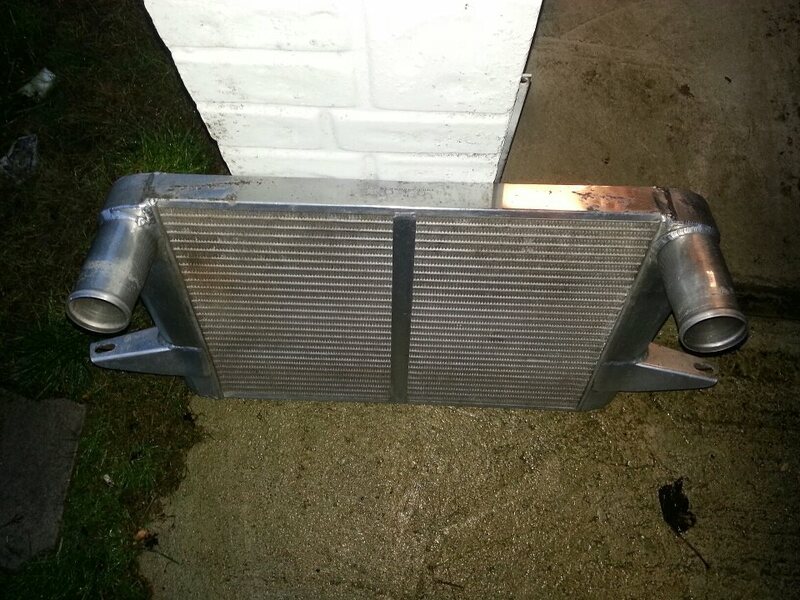 Second oil cooler fitted, this is for the supercharger. 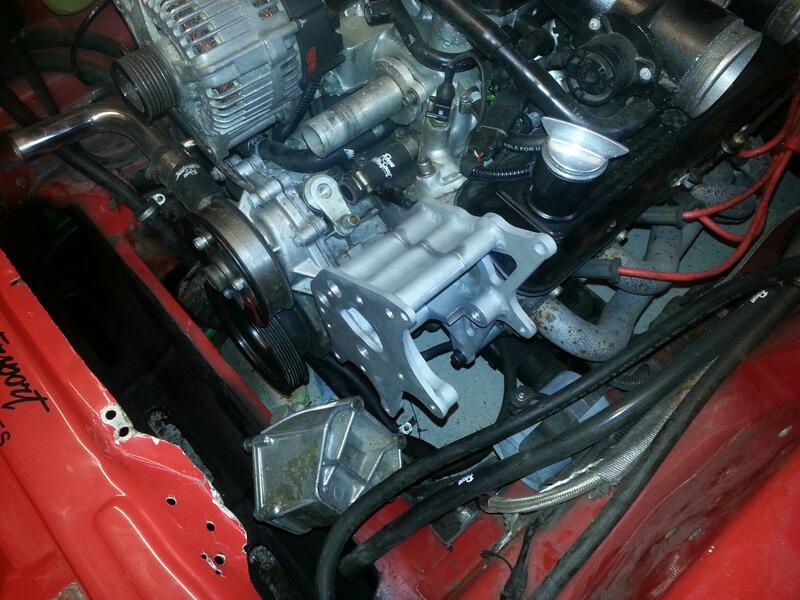 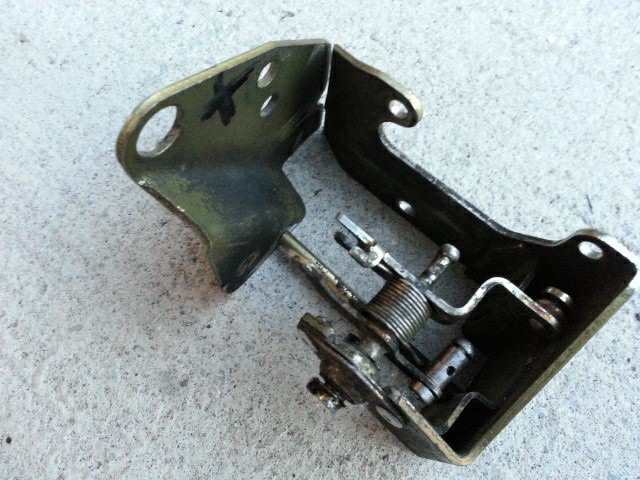 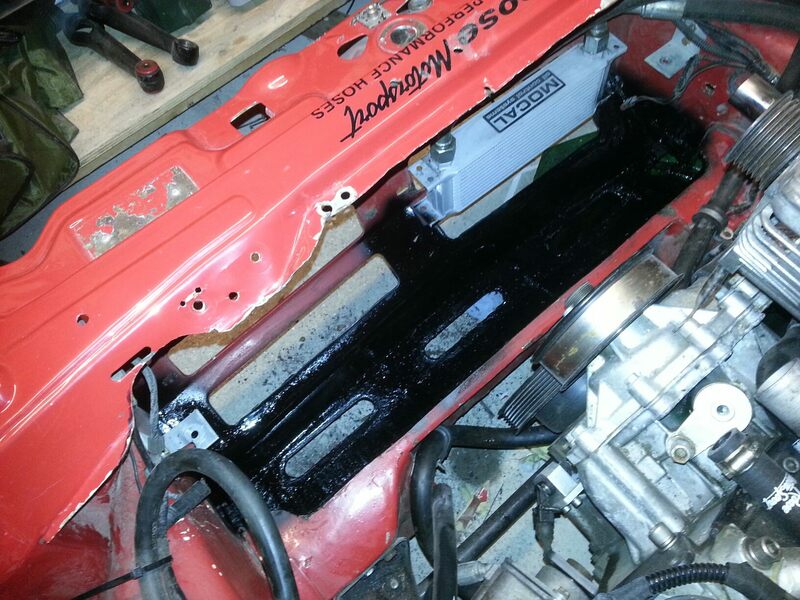 This is better, BUT the twin plenum outlets foul the brake fluid res, BUGGER!!!! 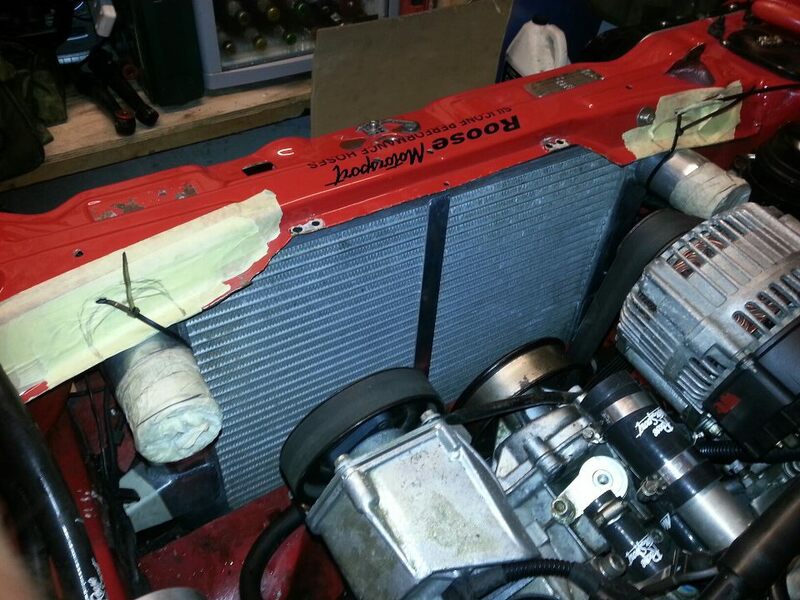 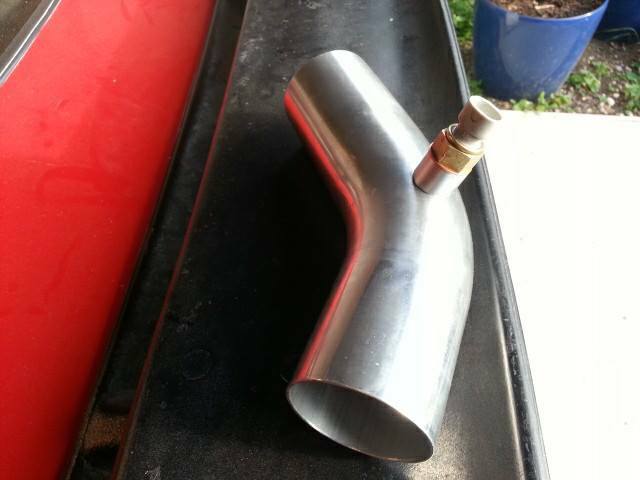 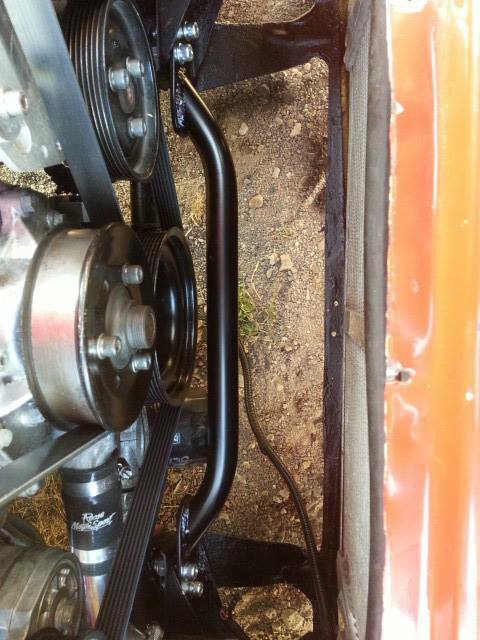 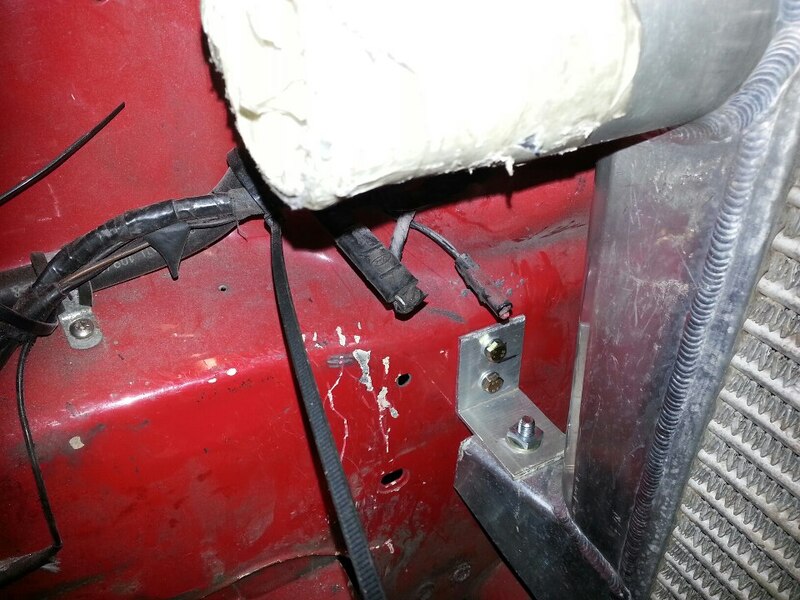 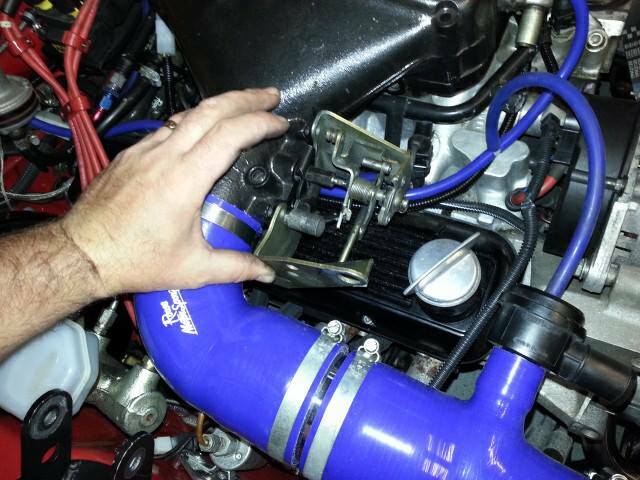 One problem we came across was the throttle linkage on the single plenum was going to foul the inlet pipe work from the intercooler to the plenum :-( BUGGER AGAIN..
Rolling road later on in the new year.